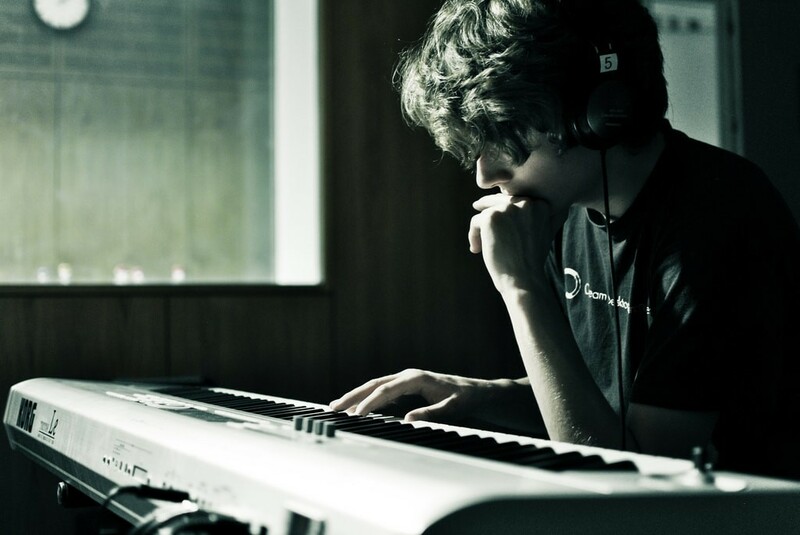 Headphones are one of the key elements of recording studios. Headphones are highly important in recording, editing and mixing. They are also much needed for the purpose of sound monitoring. 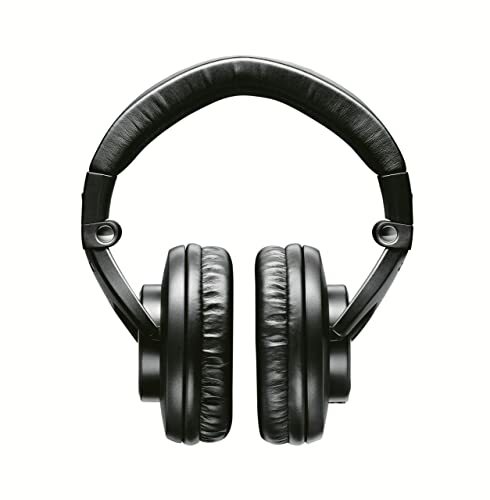 However, to make the recording, editing, mixing and monitoring go well you should have high-quality headphones. You should consider having top-rated headphones that are capable of producing crystal clear sound and come along with soft cushion pads to provide you extreme levels of comfort even if you use them for longer sessions. Headphones may differ in design, construction and other features. You can either choose from open-back type to closed-back type of headphones as well. Nevertheless, this may depend solely on your purpose or how you are going to use it. There are various grades of headphones available for your examination. Choosing the “best” out of all of them may turn out to be a difficult task. 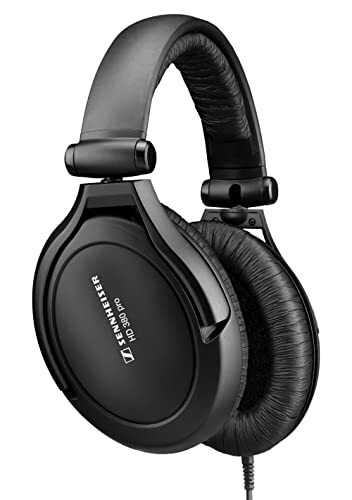 Top 5 best studio headphones under $200 (price based on the date the article is published) along with their reviews are being summarized below to help you pick up the best choice. Before picking the best studio headphones, here are some tips you need to consider. + TYPE OF EAR–CUPS: The design of the ear – cup is a significant factor before choosing to buy the best studio headphones. Ear – cups provide effective sound isolation. Therefore, they are considered to be important parameters. The positives and negatives of the above – mentioned headphones are listed below. You might consider going through these before deciding to buy the best studio headphones below $200. Because there are many options available nowadays, picking up the best out of them is a daunting job. We have compiled a list of quality headphones together with its overall description, feature, value and detailed summary of customer reviews to make everything easier for you. Another professional studio monitor headphone product of Audio Technica is the ATH-M50x. It has the same coveted sonic signature together with an added feature of detachable cables. 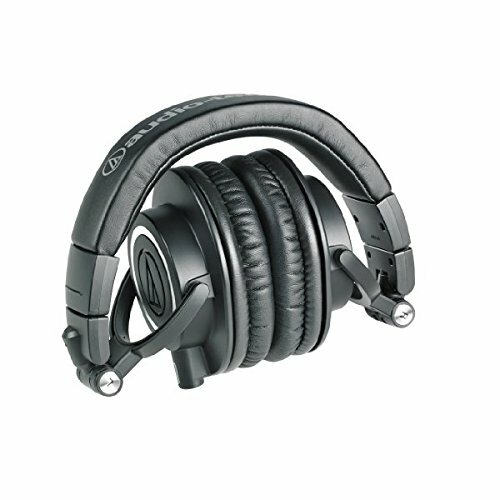 It also has large aperture drivers, sound isolating earcups and being constructed in a robust way. The Audio Technica ATH-M50x provides an unmatched experience best for the most professional audio professionals. The Audio Technica ATH-M50x considered as one of the most critically acclaimed headphone models in the M-series line. With proprietary large-aperture drivers with rare earth magnets and copper-clad aluminum voice coils, it is great in producing enormous sound. It uses circumaural design contours for excellent sound isolation while sitting comfortably around the ears. This headphone works best as well even if you are going to use them in typically loud environment. From sonic performance, durable construction and design, the Audio Technica ATH-M50x headphone has been praised by most top audio engineers and pro audio reviewers. And because it uses swiveling and high-graded earcups, it will be easy for users to use this gear in monitoring. Everything is packed with detachable cable and durable headband materials. AKG K612 Pro belongs to the category of open-back headphones and provides excellent professional sound imaging during the sound monitoring process. It uses patented Varimotion diaphragm technology to provide a completely unique sound. The headphone comes along with an adjustable real leather headband, solid rivets and has an overall lightweight construction. The AKG K612 Pro headphone is made with an over-ear design that presents itself with the maximum comfort for longer periods of activity. The technology of the headphone is sophisticated and provides spacious airy sound. It uses neodymium magnets that will give users the ability to optimize the sound levels while providing an ultra-low transducer distortion. 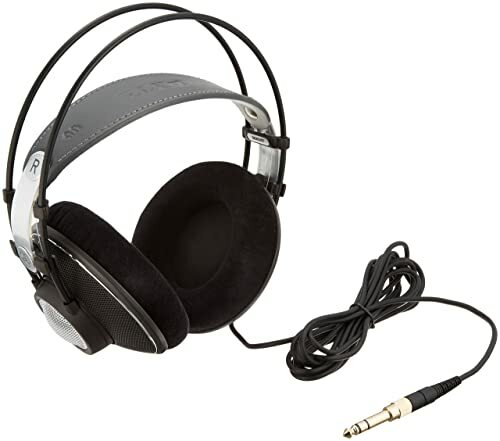 The AKG K612 Pro headphone has been praised by most audio engineers for decades. It does not just provide lightweight feels but maximum comfortable fit as well. It reinforce the quality of AKG making it ideal for many applications. The HD380 PRO is an improved version of all the Sennheiser series available in the market. The headphones have the capacity to operate in a wider range of frequency. It comes up with an excellent response of frequency. Sennheiser HD380 Pro also provides increased level of sound reproduction at all stages. The headphones also have excellent attenuation capabilities thereby, providing excellent sound isolation in loud environments. This professional monitoring headphone is designed to exceed the demands of audio professionals. The Sennheiser HD380 Pro headphone has a closed, circumaural design that provides noise isolation of up to 32 decibels. It has a lightweight construction and extremely comfortable for use no matter how long the work. Featuring a single – sided coil cable with a 3.5 mm jack connector and ¼” adapter with included carrying cases, it is a pretty slim kind compared to the others. When it comes to the construction of the headphone, it is robust and comes along with a warranty of 2 years. The headphones are compatible with most of the latest generation’s tablets and mobile devices. Packed along the gear are the comfy ear pads. Most customer reviews for this gear seemed to be really overwhelming. There is no any critical issue and its overall appearance, design and features receive positive comments. Most audio engineers recommend the product. 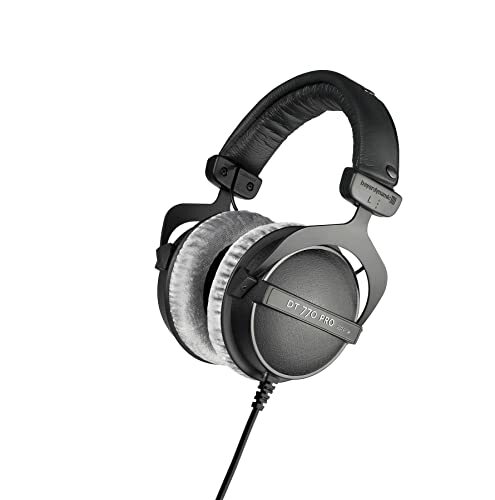 Beyerdynamic DT770 Pro headphone with 250 ohms will give you high-quality sound without compromising your budget. The Beyerdynamic DT770 Pro headphone has premium phones to let you hear exactly what’s going on and get the desired results you’ve been looking for. If you are looking for a headphone that could give better accuracy and better performances, it would be a better chance to get one. The Beyerdynamic DT770 Pro headphone comes along with a closed parameter of design and diffused field systems. This headphone also has a better response when it comes to the bass. It is also capable of producing sound with a broad frequency spectrum. The overall impedance of the headphone is 250 ohms and includes single – sided soft cables, gold – plated jack with a plug of 3.5 mm and an adapter of 6.35 mm. Having a headphone able to fight loud environments is what most customers are looking for in a headphone. The Beyerdynamic DT770 Pro roots in the early 1980’s and since then millions of audio professionals from all parts of the world trust the product, no doubt why customers today give highly impressing rates. Shure SRH840 has been designed by the Shure professional artists. This headphone was created to optimize critical listening and studio recording. SRH840 has a tailored frequency response and 40 – mm neodymium dynamic drivers for excellent comfort while enjoying music listening. This headphone also comes with an adjustable padded headband for superior comfort over extended periods. The Shure SRH840 headphone proves to be ergonomic and an excellent fit for recording purposes. Its moisture-wicking headband provides excellent comfort during longer hours of use. With its collapsible design, it can be carried easily while you are travelling. It also has memory foam earpads used to increase sound isolation and give extreme comfort. The frequency response is precisely tailored making it a highly dynamic gear for everyone. When it comes to customer reviews, there is nothing we can say but positive. The Shure SRH840 monitor headphone is pleasing to the eye and produces crystal clear sound. It has an excellent midrange so it is an amazing headphone pair for the price. The headphones mentioned above have been proven and tested to be great in any audio application already. All of them belong to the high-quality category for a very affordable price. They can be the best studio headphones under $200 you’ve ever find. If you are one of the thousands of people seeking for quality headphones that produce crystal clear sound, these headphones are perfect.